Outdoor Furniture - Shop By Brand - Castelle - Exclusive Collections - Lucerne - Page 1 - Trees n Trends - Home, Fashion & MORE! 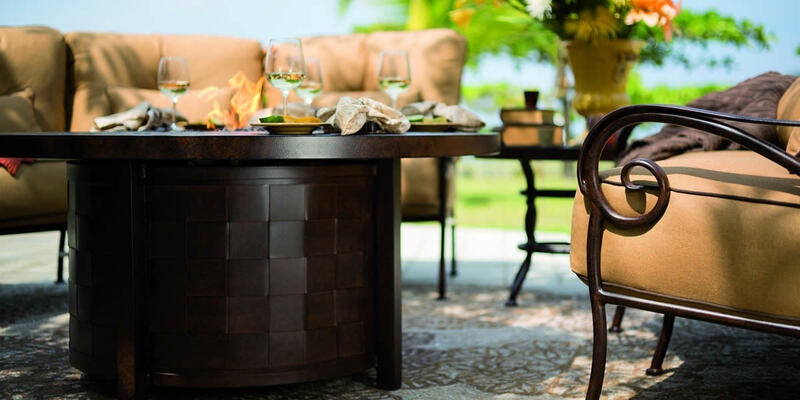 Capturing an outdoor lifestyle of distinction through hand wrought artistry and free flowing style, is found in the Castelle Lucerne collection. This design provides a unique take on casual yet elegant, outdoor living. Through the charm of slender curves, curling details and cast scrolling elements, a romantic motif is created from durable wrought aluminum. The entire Collection delivers fresh and carefree styling to any outdoor decor.